We're out in the yard with Jay Harper of Harper's Nursery & Landscaping Company! Tip of the Week: We talk about the care of roses and deciduous trees for this time of year. *The crew discusses the different degrees of frost damage....what is a"hard freeze?" We give advice on covering plants, properly. Cecilia - She wants to know if she should pick all of her fruit now that it's freezing overnight? Recommendation - Usually it's not an issue. It takes sustained cold to cause any real damage. Tip: Our topic today is on "home gyms" and getting back in shape after the holidays. Try getting out in the garden!!! Exercise and your lawn and yard will look great too. *The guys discuss what you can start growing this time of year in Arizona. "Get Christmas Put Away & Get In The Garden!" We go back to our discussion on pruning roses....and deciduous trees. Why this is the time of year? How to trim back properly. Audrey - Deer are eating the fruit from her peach and nectarine trees. Can she prune it up away and out of reach? Recommendation - Pruning up should be fine...treat it with trunk paint or use a wrap to keep them away. Carol - What is the secret to keeping her fountain free of algae? Recommendation - The key is keeping the chlorine level high enough to keep it clean. Remember, that the resorts have a full-time staff caring for and monitoring their fountains. Ed - He's a caretaker and wants to know if it's okay to trim back his fan palm trees this time of year? Recommendation - The best time of year to do this is mid-summer, but it is okay to do it now, especially considering the safety hazards of falling debris. 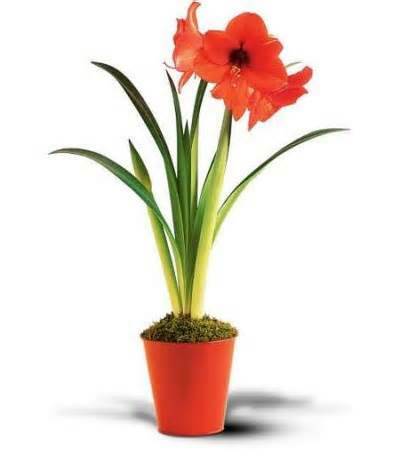 Margaret - She wants to know how to care for her amaryllis plant and when she can split the plant up? Recommendation - They will grow in a pot or in the ground and do well here. They bloom in the spring and you'd want to split it in late September or early October. If you have more landscaping questions, call Jay at Harper's Nursery & Landscaping! Scott - He's getting cold air coming in through his return....he thinks it's coming though the A/C intake. What can he do to block the air? Recommendation - Rosie doesn't think wrapping the whole unit will help. Possibly, think about insulating the vents coming into the house. A "pressure test" could determine another issue that's causing the cold air. Will "Super-Heating" work the same as "Super-Cooling?" We have fun talking about our topic and start our contest to giveaway Coyote tickets from KTAR! Judy - Her gas furnace is no longer repairable....and now she thinks her A-C will go soon too. Should she go with a combination pack? Recommendation - Read this article...For Judy in Phoenix, call Integrity Air Conditioning or Knight Air Conditioning. Joyce - She had John and John from The Mighty Electricians out and by the time they left she felt she "Had two new friends"
Audrey - Is there a product to cover the 2 wind turbines on her roof and should they do it? Recommendation - Yes, covering them will hold in the heat, but don't expect much savings. John - He is waiting forever to get hot water to the tap....he's wasting water and wants recommendation's. Billy - Have we heard of "stone wool insulation" and what do we think of it? Recommendation - It's probably "rock wool" insulation. Rely on her builder, if she trusts them. She'll probably use foam through part of the home and mix different types to keep the house comfortable at a reasonable price. Call Banker Insulation! *Rosie explains what a "thermal bridge" is. Ron called in to thank Arizona Chimney Sweep for the great work! Don't forget to sign up for the Sanderson Ford Arizona Staycation! Zach - He wanted to know if painting a porcelain tub is a good idea? Recommendation - It's more of a short-term solution....but we recommend calling Rebath! Gary - He has another question about heat pumps. He saw steam coming off of the heating unit on his roof. What's causing that? Recommendation - It's completely normal evaporation, so don't worry about it! We're talking about New Year's Resolution's and share the top resolution's from 1947, compared to now! We're joined by Rosie's daughter, Katie! She's studying kinesiology and is here to share tips on getting in shape for 2015! Did you know people gain an average of nearly 10 lbs from October through the holidays and the New Year? Get back in shape! We discuss the different characters out there and all the different programs to get in shape. You don't need to spend a fortune, just find a routine that works for you. Make workouts fun so you don't dread them! Katie breaks down some average pricing for simple equipment for your home. TIP: Don't put your equipment in the closet....out of sight, out of mind. Remember....25 minutes of working out is better than 0. Don't skip it if you don't have enough time. Getting in shape is a simple formula......not easy to accomplish. Just find out what time works best for you and make it happen! Routine is key...try to stick to the same time of day that your body likes. Exercising with the TV on or with music? Katie shares her best regimen to lose weight, successfully....alternate cardio and weight lifting. Diet suggestions too! Losing weight is not something that should happen in a matter of weeks and you're done....it's a lifestyle change. Tip: Get a Physical evaluation from your doctor and then get started! What's good for you....what's not? Start Simple! Increase your fiber, decrease your calorie intake. Take a moderate approach to diets...phases can be scams. Diet's are great places to find recipes. Remember - Your stomach is only the size of your open palm. *Katie shares a tip on eliminating back issues while riding a bike. A caller heard Rosie talking about riding his bicycle and recommended an Elliptigo! Katie's favorite piece of equipment - A Stationary Bicycle Exercise Stand! It's nice 95 percent of the year in Arizona. You can workout inside and out, not matter what the weather is doing. Avoid Box Stores for these purchases. Specialists know what you need and how to set it up. Join Rosie On The House Every Saturday Morning 8 to 11!! !